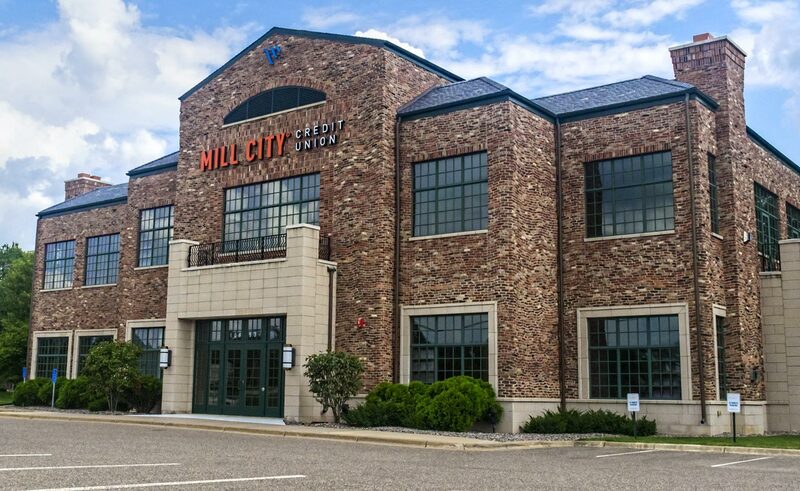 Mill City Credit Union - Sussner Design Co.
General Mills Federal Credit Union decided to expand into the public sector after being an employee-only financial institution since 1935. 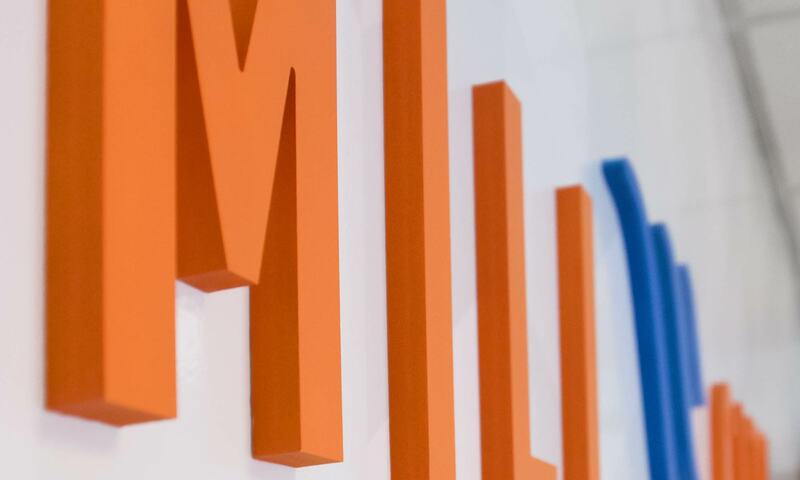 For this exciting launch the group came to us with the new ‘Mill City’ name, ready for us to create a new oven-fresh identity. 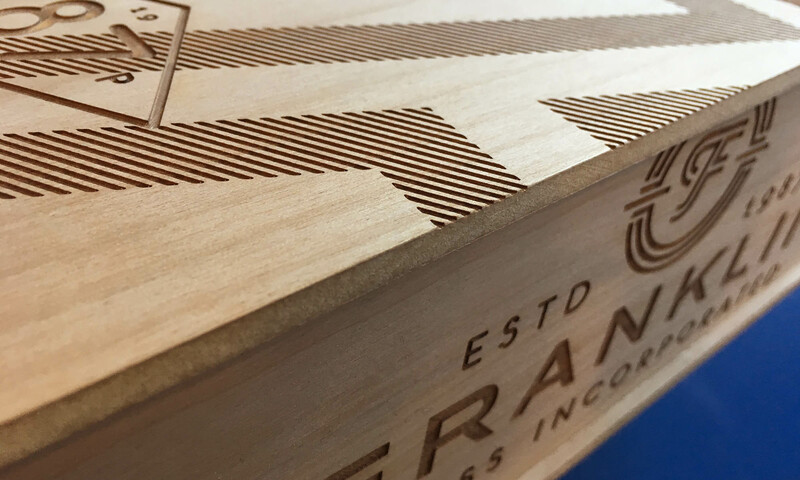 The result was an infusion of their rich milling history with a modern styling that connected to a new millennial audience as well as their long-standing legacy members. 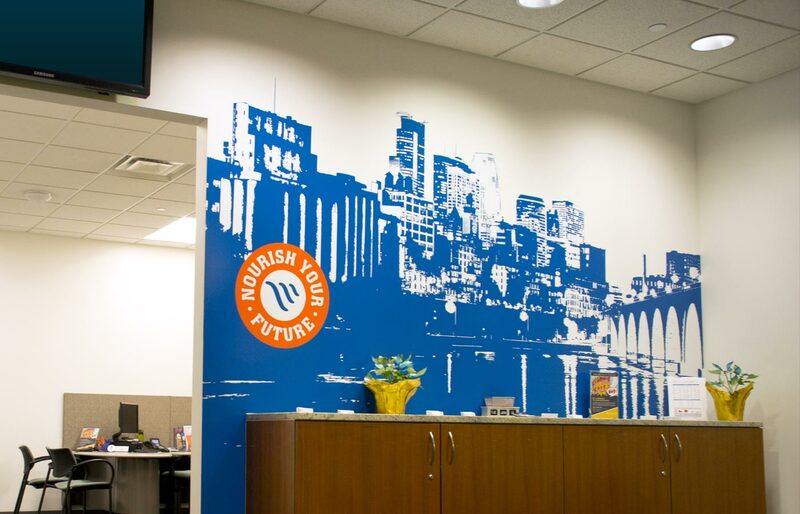 Thanks to exceptional ingredients, precise measuring, calculated adjustments and a dash of intuition…Mill City Credit Union rises and impresses. Our new identity has been such a success! 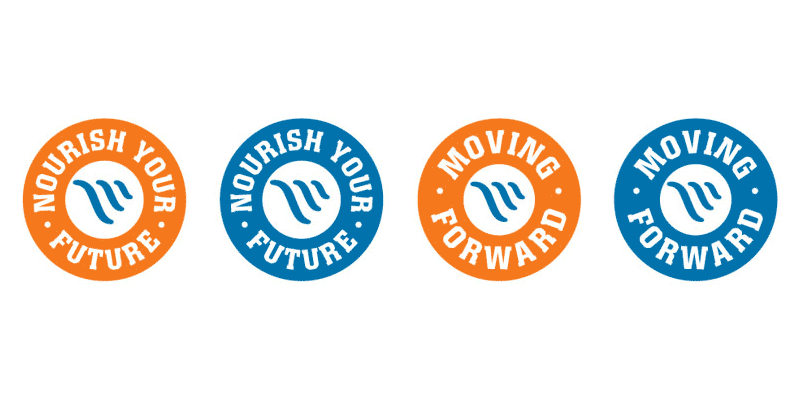 Members and employees love the brighter look, we’ve seen an increase in membership and we even won an industry award. The Sussner process was great. They listened and provided thoughtful, responsive guidance through the whole transition. 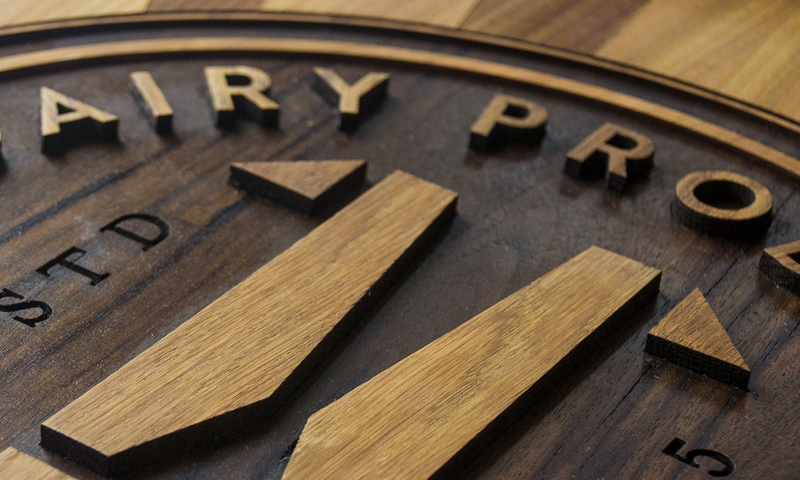 MINNEAPOLIS SKYLINE: With its strong tie to General Mills and the flour industry of Minneapolis, a skyline featuring the original mills was a perfect fit. 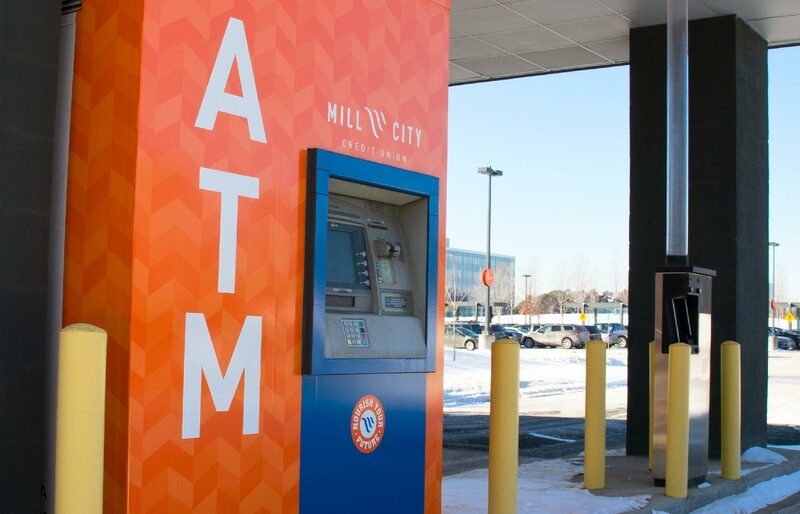 ATM AMPLIFIED: The Mill City ATMs—for many members, the main point of contact—offered a perfect opportunity for the brand to come to life. 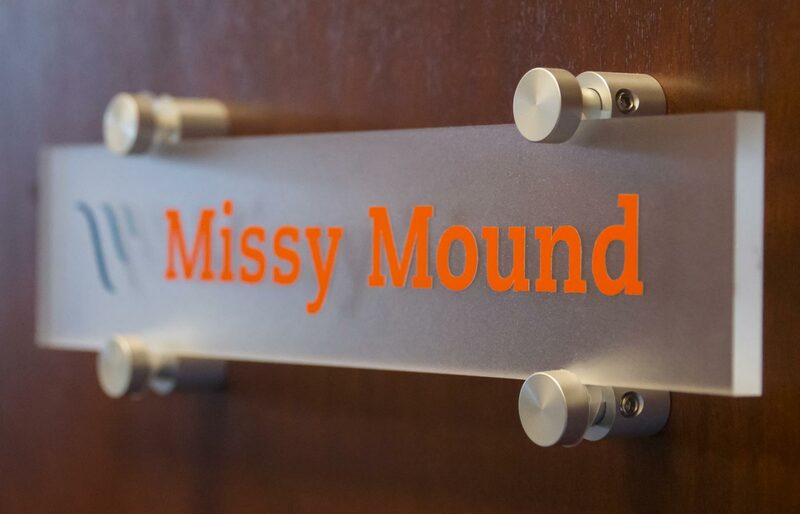 NAME PLATES: Custom fixtures tied the internal offices together with a touch of branding. 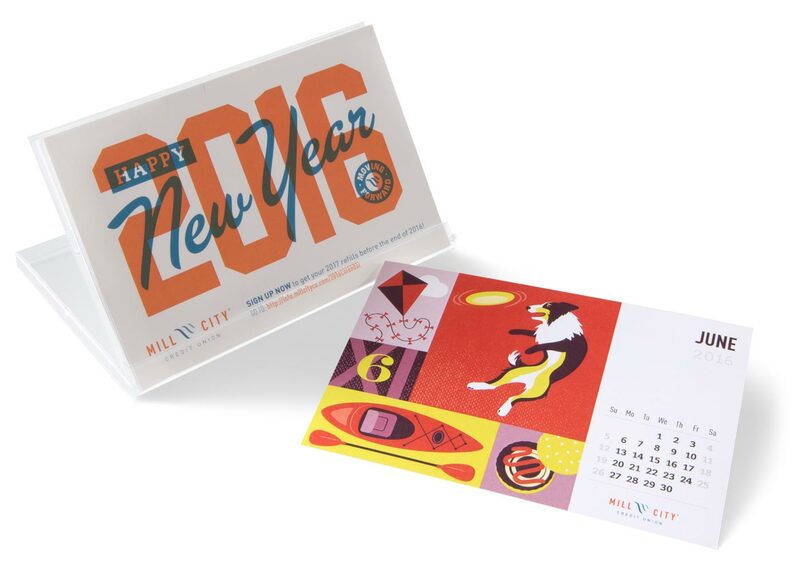 DESKTOP CALENDARS: A mini desktop calendar was designed to introduce the new brand to all members in 2016. 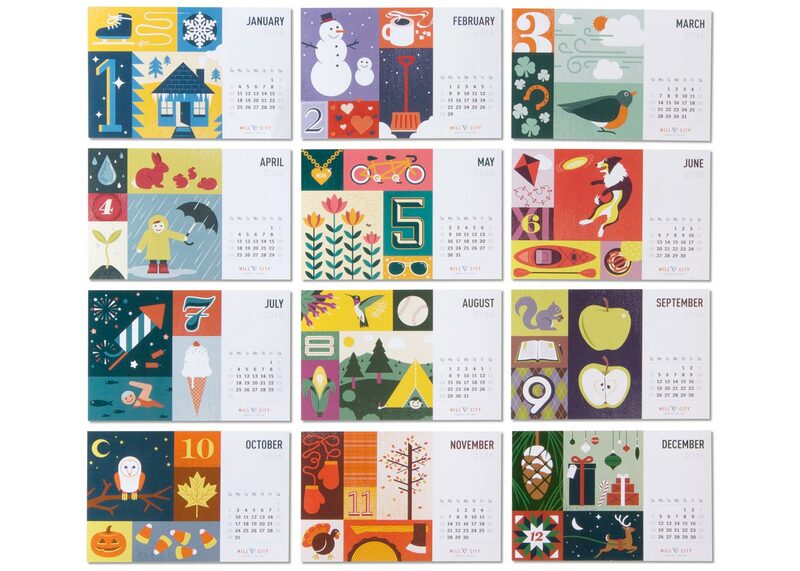 A YEAR OF CHANGE: 12 months of illustrations were created to show the joyful year through the lens of Mill City. BUSINESS CARDS: A spot gloss wave pattern made a subtle tie to the St. Anthony falls on the front of the business cards. 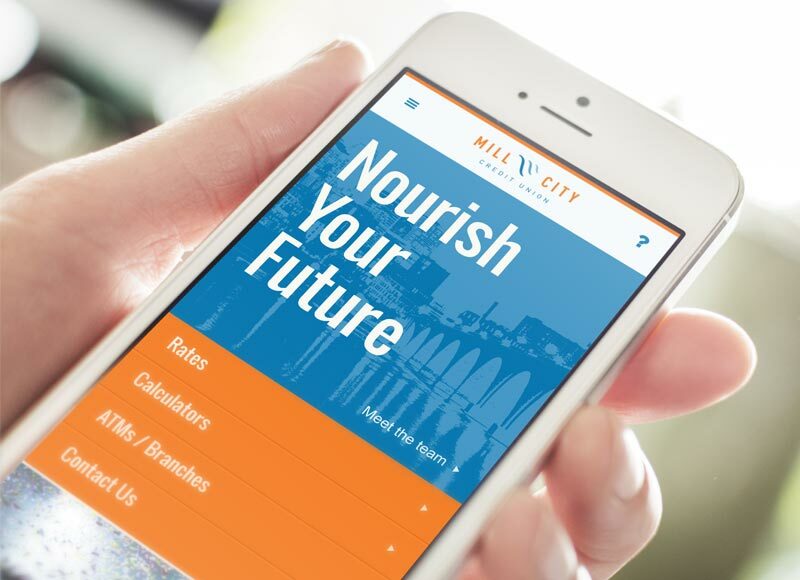 From branch signage and materials to digital platforms, we worked closely with the Mill City team to make the member experience more intuitive, pain-free and cheerful. The website was overhauled to be easier for both users and staff. These visual changes then rolled into dozens of third-party services for a cohesive experience even after users leave the site. 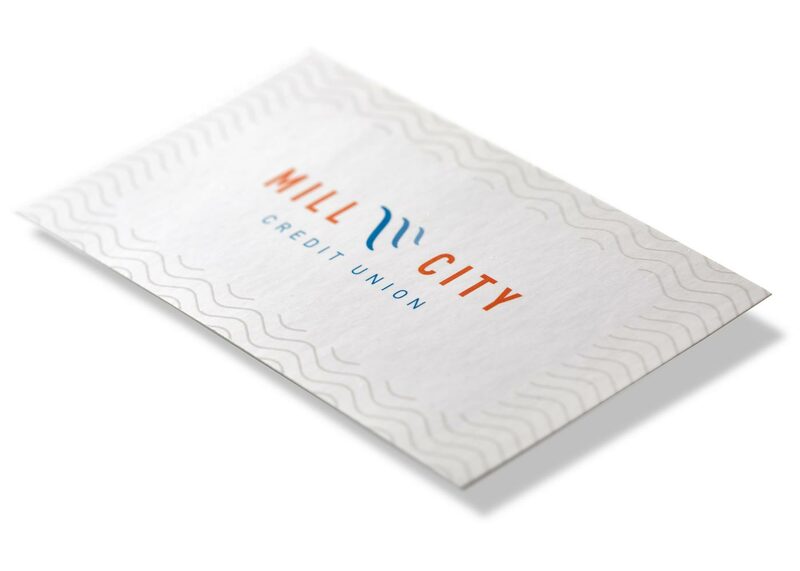 Mill City Credit Union is now on the cutting edge of online banking, with support for all the devices the 21st century has thrown at us.